Birdwatching in Puerto Rico - Birds of the El Yunque rainforest. Above is a little Puerto Rican Tody ( todus mexicanus) , locally called 'San Pedrito'. Tiny little birds, they travel through the woods in twos, chirping to each other as they go from branch to branch, in sight of each other or in hearing distance. They nest in holes dug into clay banks. Photo above: Father Sanchez. `Todies are voracious animals that are almost exclusively insectivorous. Their constant activity and prodigious appetites force them to consume one insect almost every minute of the daytime hours. 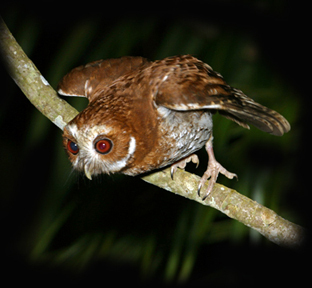 Their usual hunting technique consists of sallying out from a perch, capture an insect located on a leaf, twig, or in mid-air, and land on another perch, all in one neat, graceful movement. Like hummingbirds, when they cannot feed (at night or during prolonged periods of heavy rain) todies lower their metabolisms and temperatures to conserve energy. Endemic. (Todidae.) These are small, chunky-looking birds that superficially resemble hummingbirds. However, their closest relatives are kingfishers, with whom they share certain anatomical and behavioral traits. In the order Coraciiformes. D.R.N.A. Press release: January 21, 2016. 16 Puerto Rican Parrots ( amazona vittata) were released into the Río Abajo State Forest after biologists opened the aviary flight cage It is the tenth release to strengthen the recovery of the species. The sixteen parrots were chosen from a group of thirty candidates that were trained to survive in the wild. The parrots were bred and raised in the aviary and underwent survival training in the cage for a year. "The release of parrots into the wild is an essential step in the recovery program for this species, 198 captive parrots are in different stages of training. The Río Abajo State Forest has released between 80 and 90 birds, in addition to those released today." The preferred natural habitat for the parrots was everywhere below the rainforest, but pressure from development forced them higher and higher. Above Map: The present range of the Puerto Rican Parrot. 'amazona vittata'. Local authorities estimate that the population of the species in the nineteenth century was greater than a million. The Puerto Rican parrot suffered a dramatic loss and in the 1950s only 200 birds were saved. The dramatic loss was probably due to the practice of the spraying of DDT for mosquito control, as it made their eggs too soft to be able to reproduce. 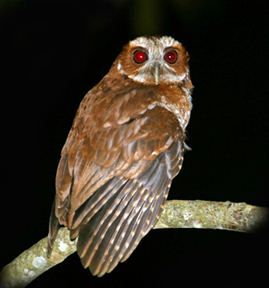 The species was included in 1968 in the list of the Federal Act on endangered species and in 1973 a recovery program with the establishment of the first captive breeding program began (and still continues) in El Yunque. Parrot Photos to help you identify the endangered Puerto Rican Parrot from other, introduced parrots. . Above: Sandpiper: / 'Playero'. One of the many types of Sandpipers. Above: White cheeked pintail ducks. 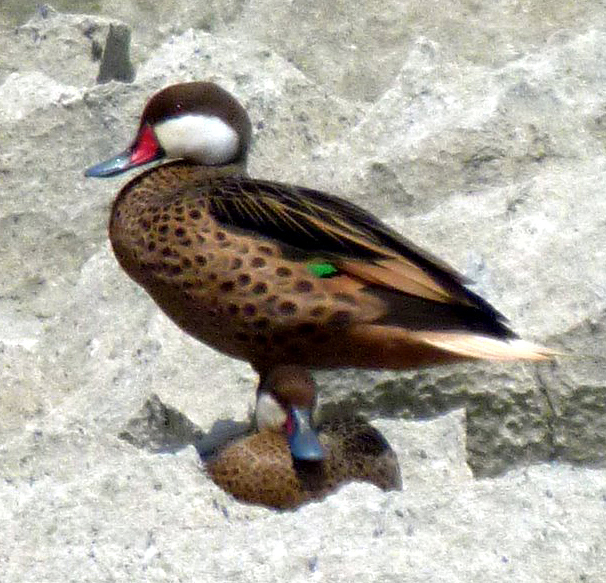 White-cheeked pintails are endemic to the Neotropical Realm. They are widely distributed and locally common in the Caribbean. Habitat: Slightly saline and fresh water lagoons. 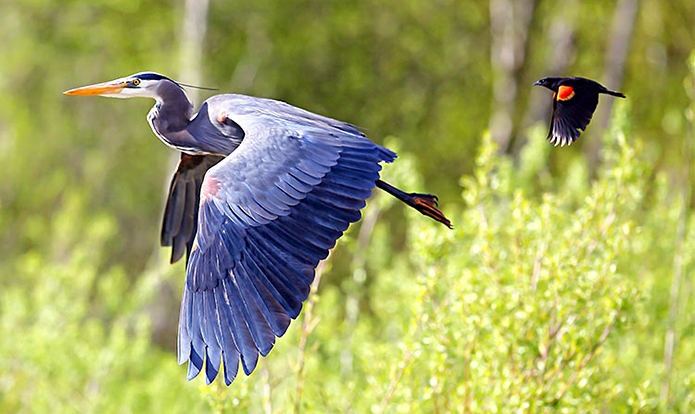 Above: Blue Heron. Shore birds found in Mangroves. There are 17 endemic species of birds in Puerto Rico and many other birds that stop on the island on their migration routes.